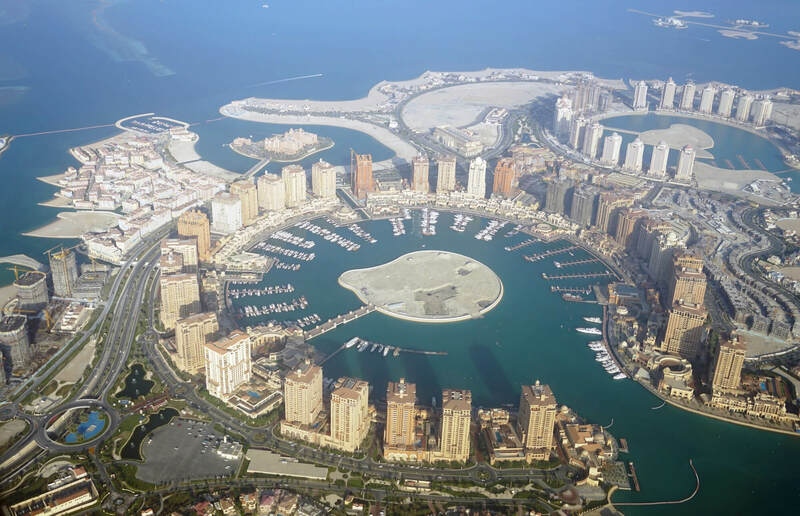 Qatar has a population of 1,699,435 people, Qatar’s largest city Doha is the capital of Qatar. Qatar personel income per capita $98,329, jobless rate 4.50% and its currency Riyal (QAR). 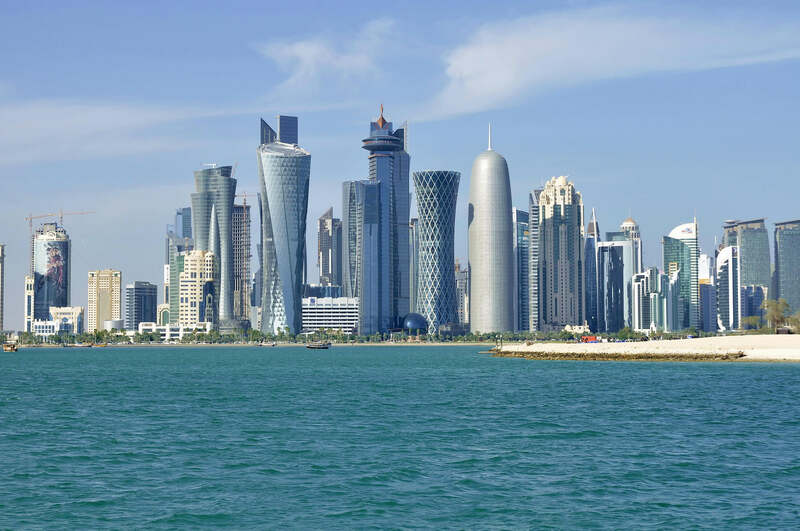 Qatar official languages and mostly spoken dialects are Arabic, ethnics groups : Qatari. 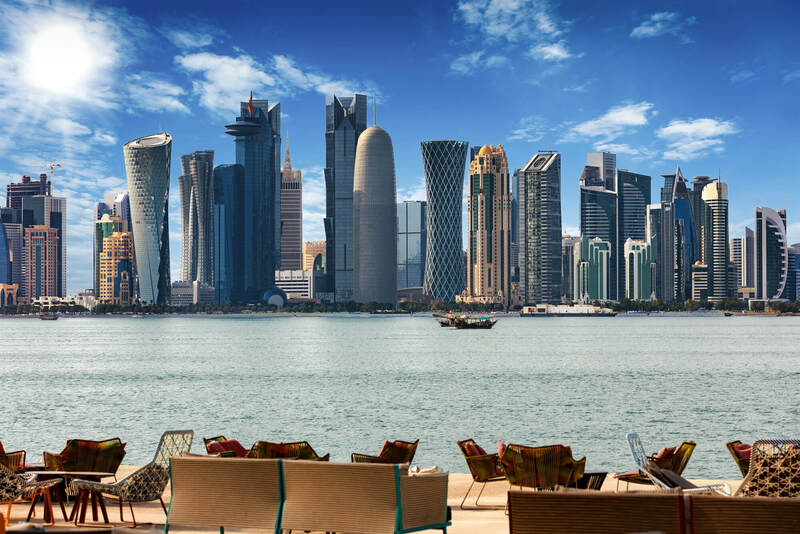 The skyline of Doha, Qatar with chairs and tables in front. 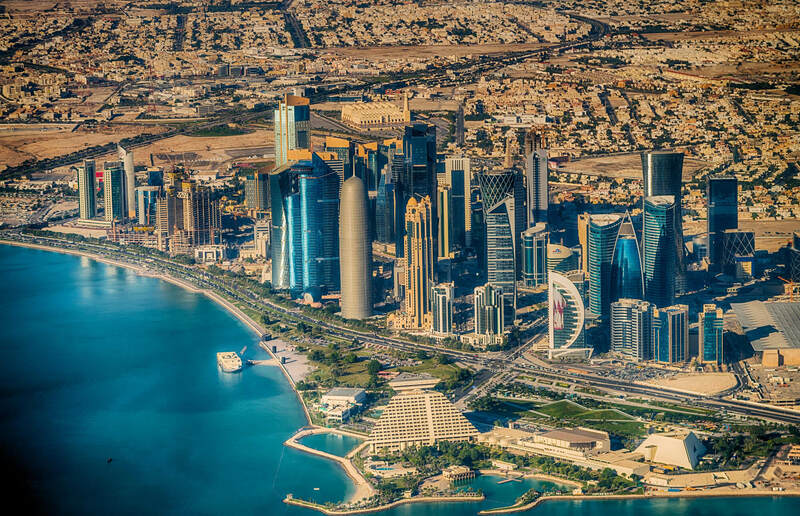 DOHA, QATAR – DECEMBER 12, 2016: Aerial view of city skyline. 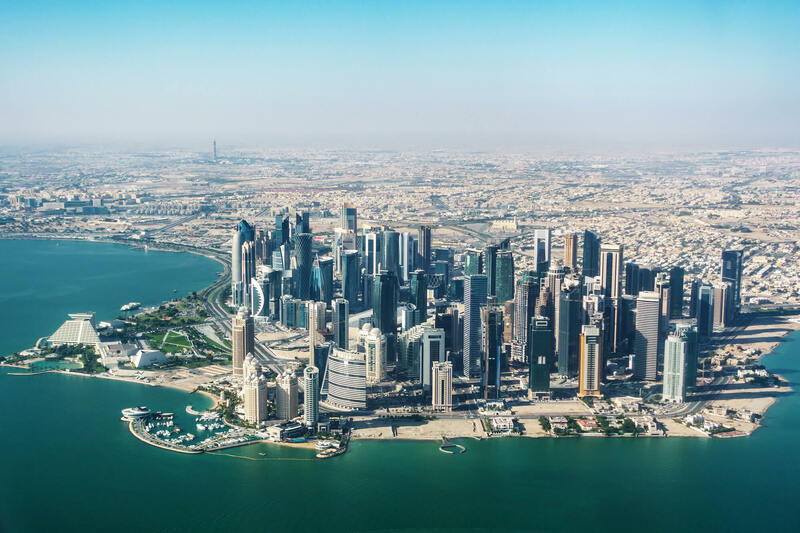 Doha is a fast growing business center in middle east. Aerial view of Doha, Qatar. 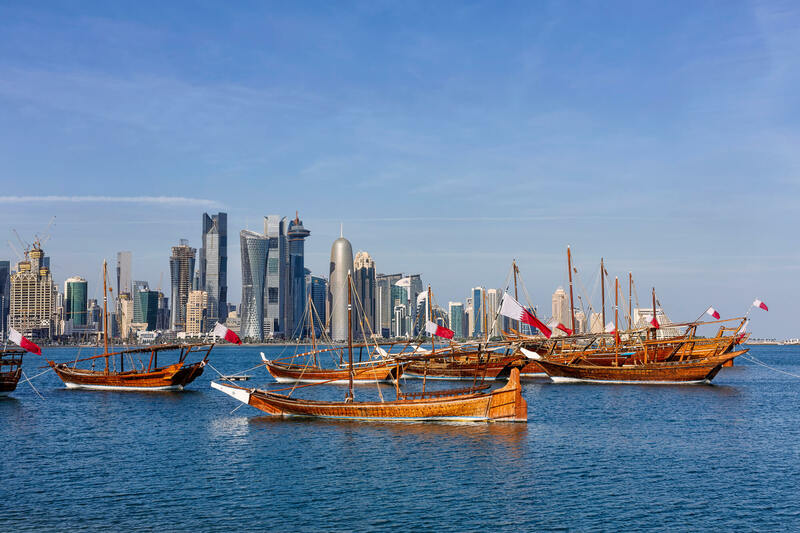 Traditional Arabic Dhow boats with Qatar flags in Doha, Qatar National day preparation. Doha, Qatar, Middle East. 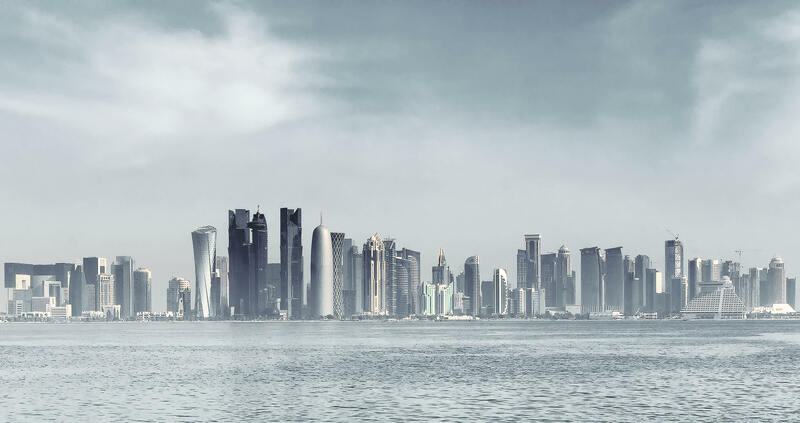 Futuristic skyline of Doha, Qatar. Doha is a city on the coast of the Persian Gulf, the capital and largest city of the Arab state of Qatar. DOHA, QATAR -21 DEC 2016- Aerial view of Doha and the Pearl City area. The capital of Qatar will host the 2022 FIFA World Cup of soccer. Where is Qatar in the World? Show Google map, satellite map, where is the country located. Get direction by driving, walking, bicycling, public transportaion and travel with street view. Copyright © 2018 guideoftheworld.com. All rights reserved.